We have Brazilians in Northern Italy, April 26 1945. They are to capture 5 out of the 8 buildings on the map in 6.5 turns. The map has the buildings split up, 4 to each side. The Germans have 3 Italian AB41. The Brazilians have these really nice M8 Greyhounds as well as 3 Shermans, one sporting a 105mm howitzer. M4 with a 105mm Howitzer!! This thing has S7, WP9 & sM8! Should be able keep them smoked for a little while. Fine, it’s OT and not the most well suited in an urban environment. However, this sweet little car has Cannister shot (C7) aside from FP8 from its CMG & AAMG. Its 36 MPs & urban pave roads yells “go anywhere shoot anything”. The designer of this scenario is George Kelln of Lone Canuck fame. This time the Americans need to rush to secure a crossroad (big red circle) from the Panzer Lehr division in 7.5 turns. As ever, I am in a tight race against the clock. Even though my route might be a too oblivious I am going to try to avoid crossing too many Bocages. Having said that with 2 dug-in Panthers (which turns from a large target to a small HD target) plus 2 HMGs with 2 “minus 1” leaders. out there I can’t be avoiding so much Bocage that I will be moving in the clear. Most of the Germans have better morale than mine, although I have more leaders (not more “minus’s”) and 50% more manpower. I should put the mortar platoon on the only high ground I have as overwatch to interdict any lateral movements, although they can easily be attacked by the forward positioned Germans. 1 pair of Culin cutters pretty much means I will be digging one path. I don’t know what effect the opening bombardment will have but I need to rush as much as the board I can. Hopefully we can make contact before the Germans recover. The tanks won’t be available til Turn 5, so we will be legging it. Let’s see if all this works out. This 1943 scenario offers the Russians a 200mm Rocket OBA with a preregistered hex. The 200 mm is a massive but a one shot deal and it wanders by half a dr. You can’t aim nor correct the thing (it’s automatically inaccurate)! I started the scenario off being less than thrilled about the usefulness of it. Since Rocket OBA uses a Harassing Fire’s Blast Area, I figured this thing will touch a 5/6 hex area (the rules don’t say whether the error’s rounded up or down.) The GameSquad crowd pointed out there are certain merits to holding off on it so that the Germans will avoid crowding. I put my PreReg hex on 63Q10. The Russians (I) pushed through the middle – first by largely Assault Moving on board to avoid damage from the various machineguns trained in my direction. Then the Russians executed a Human Wave to rush into the woods ahead. I’d love to say it’s a brilliant move but reality is that I benefited hugely from my opponent’s horrible die rolls. Oh yes, the Russians get points for taking the multi-hex buildings and by rushing units into the circled area on the right of the map. The Russians win when they stack up 8 points. Move 8 units into the circle, AFV or squads. The defender has to get the right balance between defending against the two – defend the buildings and risk getting surrounded or backup to the rear and risk losing the buildings. I just found myself regular face-to-face (“FtF”) games with the good people of the Hong Kong Society of Wargamers who, when they are not playing miniatures, meet regularly to play Advanced Squad Leader games. They would have none of that. Before I knew it I was taking part in a scenario “S21 Clash at Borisovka“. This scenario depicts a situation on March 14 1945, in Borisovka, where the German Grossdeutschland Division had penetrated deep into Russian lines and elements of the 3rd Guard Tanks Corps was sent to stop them. It’s a tank on tank scenario where the Russians has 10 T-34s and the Germans has 4 Mark IVs and 2 Tigers. I haven’t yet read Chapter D but soon after they took the time to explain gameplay to me, I was running a T-34 from behind the woods, speeding through open ground and ramming up against the side of a row of Mark IVs on our flanks and took two of them out! The Tigers were much harder to deal with. We were trying to run T-34s around them and even got some rammed up their sides but to no avail. 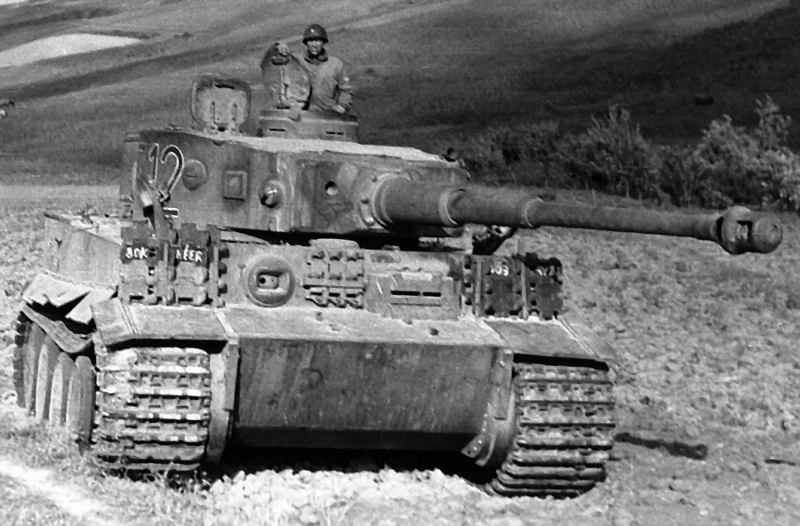 We though things were going downhill for the Russians when one of the Tiger’s gun malfunctioned! You should have heard the screams! At the end the Russians won, befitting the engagement’s historical ending. If you saw the level of engagement (Advanced Squad Leader is a VERY interactive game), it’s not hard to understand how some folks devote a lifetime to playing it. To my fellow newbies : It’s true – the best way to learn Advanced Squad Leader is to have seriously experienced players to play with you. You’ll be amazed how quickly everything fall into place!